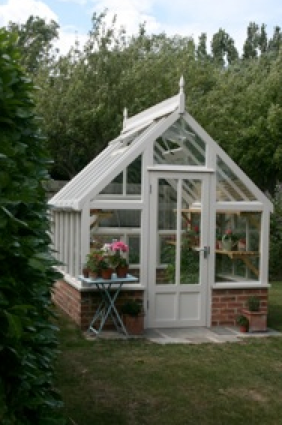 I am coveting a Green-bug greenhouse. It would be perfect at Sunnyside, and a huge improvement on the ramshackle ones we inherited, which incidentally need to be dismantled this year if we are to make a start on the other half of our garden... Now could be the time? Sunnyside is our home. After searching relentlessly for three years, a whole series of co-incidences led us to this wonderful place. Bought at auction after viewing it for the first time just eighteen hours before, it was one of the craziest days of our lives. Sunnyside was a tiny house hidden away in a quiet lane of rural Kent, with a 3/4 acre garden. It had been empty and unloved for 5 years, but then it found us. 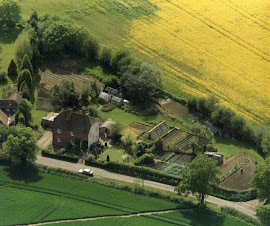 We have rennovated and extended the house, and the garden is going to be a lifetime's project. This blog is a record of our journey with this garden, and its journey with us.